Since 2007, the Sierra Institute and Greenville Jr./Sr. High School (GHS) have collaborated closely to develop ongoing programs that integrate field-based projects with classroom work for 7ththrough 12th grade students. The 65,000-acre Moonlight Fire (2007) was a monumental event in the human and environmental history of Indian Valley, and it informs much of our youth programming. The Natural Resource Education program transforms this historic local event into a great learning experience in which GHS and other local students are able to apply what they know to think critically about cascading effects of landscape-scale events. Students participate in annual trips to permanent monitoring plots, from which they return with both data and valuable experience. Back in their science classroom, students further learn about the environmental processes they witnessed as well as analyze their data. 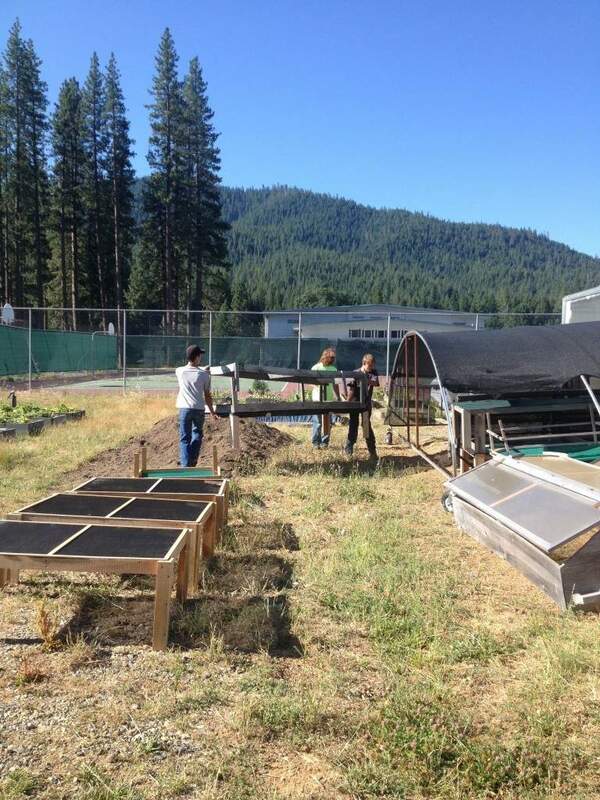 With the help of teacher Dan Brown, students grow many vegetables for local sale and conduct science fair experiments utilizing the greenhouse, along with growing native riparian plants and conifers for restoration work in burned areas of Plumas National Forest. Sierra Institute and GHS also collaborate to hire summer high school interns to assist at the garden and with field restoration work. Access to this program challenges the horizons of some students’ experiences, while for others it provides an outlet for preexisting interests. 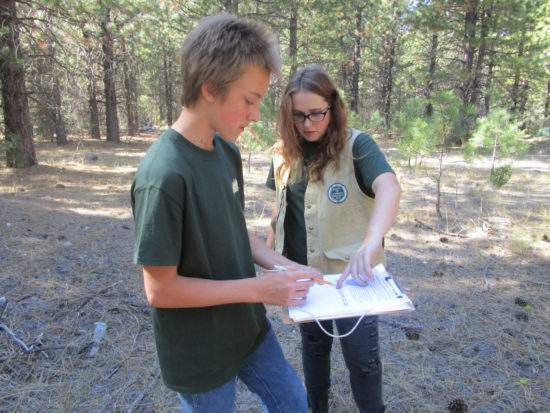 Not all Natural Resource Education programs are geared solely toward 7th-12thgrade students. This year, the Sierra Institute partnered with Indian Valley Elementary School (IVES) to offer customized on-campus science education for 1st-6th grade students. The Science Fair Workshops introduced students to the Scientific Method and showed each grade just how cool science can be. Each classroom received multiple hours of age-targeted lessons and completed their own experimental science project. With curriculum drawn from students’ experience, these workshops showed that all students can be scientists. Sierra Institute recognizes the enormous potential for classroom and field-based education to be complemented by the intensive learning experiences that characterize residential programming. 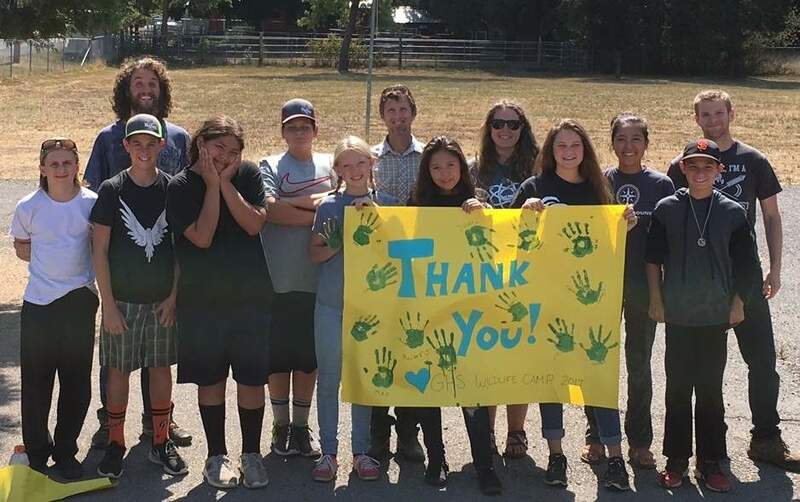 To support this type of experience for Plumas County students and beyond, Sierra Institute is exploring a partnership with Plumas Unified School District to provide three to five day natural resource programing at a vacant school site in Taylorsville. Fall 2017 will act as a pilot where Sierra Institute will serve the seventh grade students of Indian Valley as they spend three days learning about wildlife in their local ecosystems. Natural Resource Institutes are four-to-five-day thematic learning programs that replace standard school scheduling to provide immersive, integrated natural resource education that naturally intersects with history, science, math, and language education. Sierra Institute implemented this approach with the 2017 Fire Institute, which reached over 150 7-12th grade students in Indian Valley in January 2017. The programming, which involved over 20 community volunteers, local experts and professionals, started with a guiding question related to fire and fire management in Indian Valley. Students spent three days attending presentations, performing experiments and experiencing demonstrations, and interacting with natural resource professionals on their road to answering their questions. Student teams developed presentations with top teams presenting to the entire school. 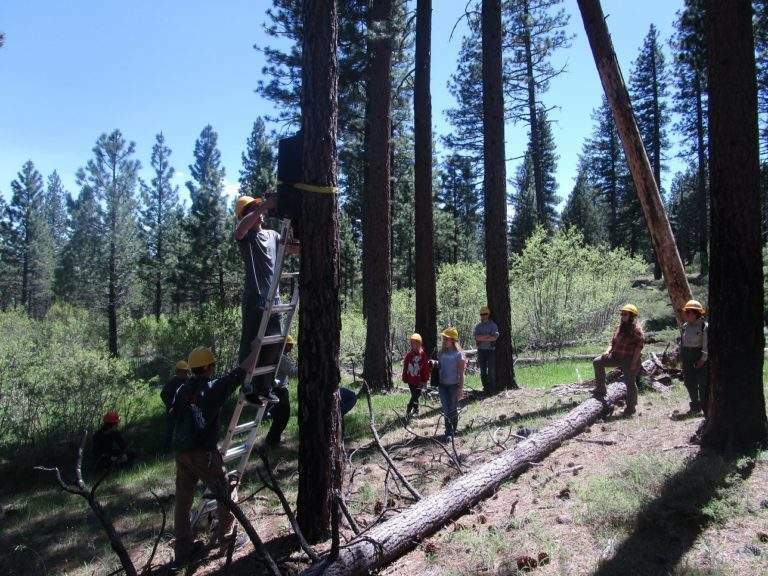 In addition to close collaboration with GHS, Sierra Institute draws key support from Plumas National Forest, Plumas Unified School District, Collins Pine Lumber Company, Plumas Audubon Society and the Maidu Cultural and Development Group. GHS teachers have been key to the success of the program through their dedication to their students both during and after school hours. The hard work of these teachers, and their willingness to go beyond the classroom to make learning fun and meaningful for our youth continues to drive the program forward.